Caption Slip reads: "Photographer: Mitchell. Date: 1957-11-11. 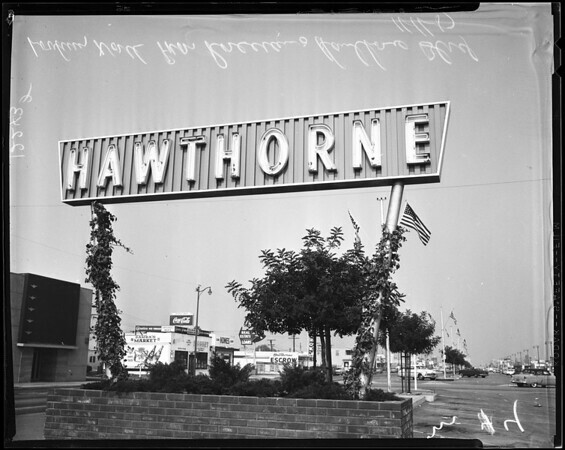 Assignment: Flags at Hawthorne. 3/4: Looking South from Imperial on Hawthorne Blvd. 75/76: Looking North from 133rd St. & Hawthorne Blvd. 13/14: Looking North from Rosecrans and Hawthorne Blvd."